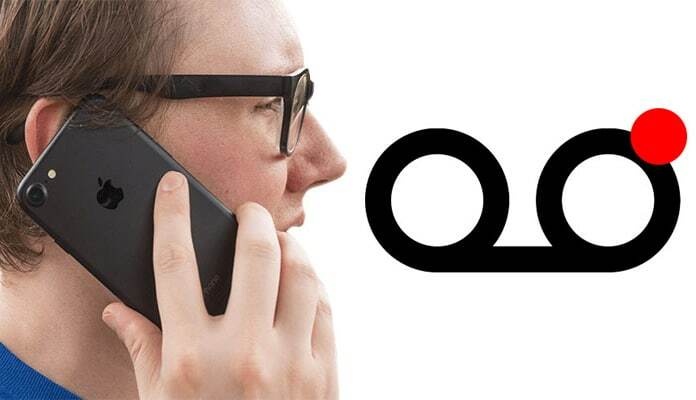 Ever wondered how to save voicemails from your iPhone? Well to me, listening to voicemails is one of the most unpleasant of task. I delay it as long as I can and by the time I end up listening to them I find they have been deleted. However, there are those that I would like to listen to again and again like birthday wishes from my loved ones or just a joke sent by a friend. Voicemails that you treasure and would like to save are best stored in your computer. The problem, however, is that for iPhone users it is not a very simple task. There are apps like iExplorer and PhoneView to aid you. But why spend money on just transferring your voicemails? So let me help you save your money. I will show you how to save all your voicemails from your iPhone onto your computer. 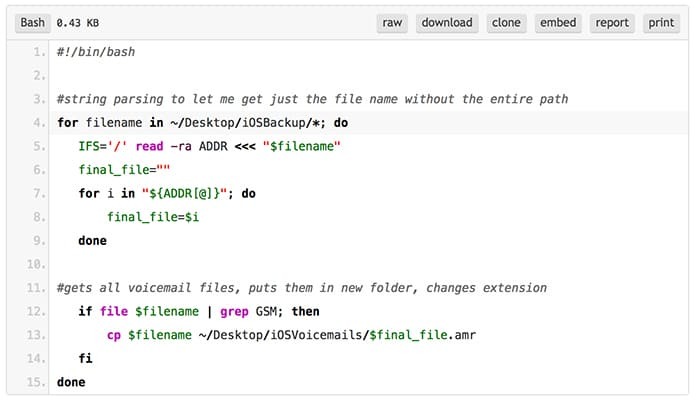 Using just a few Terminal commands you will be able to convert your voicemails in to shareable files. It might sound daunting at first but as long as you follow these simple steps you will have no problem at all. To save voicemails from your iPhone, the first step is to backup your iPhone using iTunes and not iCloud. Open iTunes while your iPhone is connected to your computer. 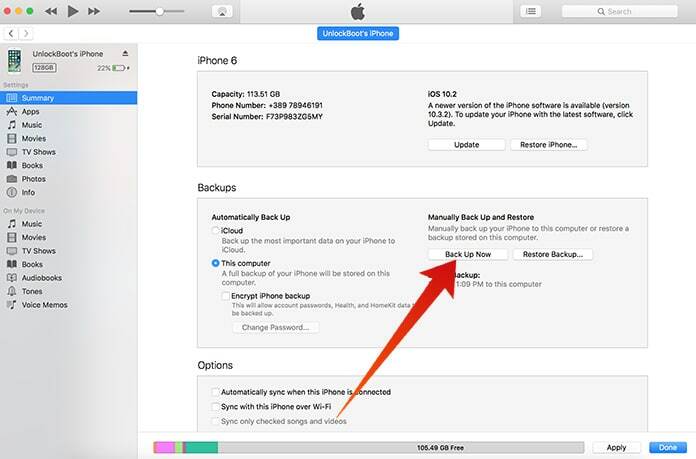 Click on Backup Now showing on your iPhone’s Summary page. Skip to Step 2 for voicemails that are saved in an earlier backup. In order to find the backup folder where you have saved your voicemails, open Finder. Your will need to press and hold down the Option key. Click Go in the menu bar. Then select Library. From there go to Application Support -> MobilSync -> Backup. The Backup folder contains all of your iTunes backups. Switch to List View because it will show you the date of each backup too. This will help you differentiate between your recent and earlier backups. 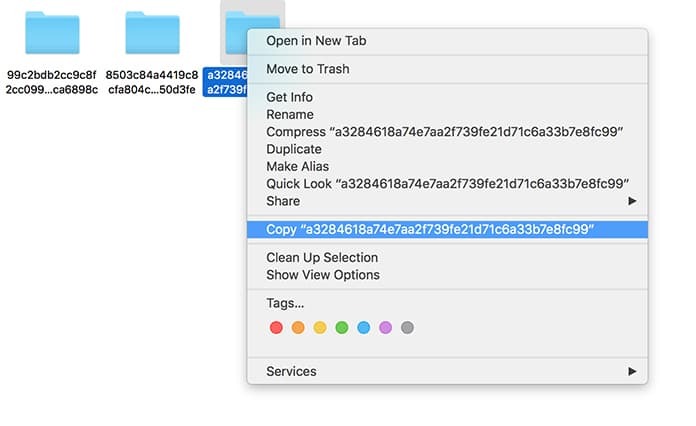 If you want to avoid mistakenly deleting your backup, you can easily copy the folder and paste it on to your desktop. In order to do that simple right-click on the backup folder and select Copy “Backup Folder Name”. Right-click on the empty space on your desktop and paste the item. It might take a few seconds because backups are usually large. Now you have the option to rename it too. 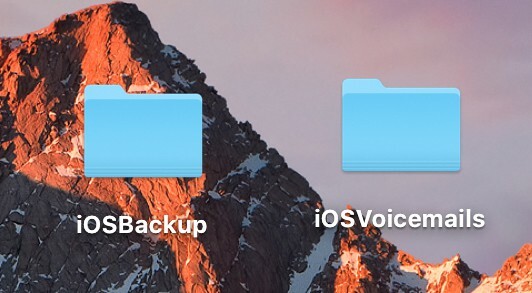 Instead of keeping the confusing numbers and letters you can simply name the folder iOSBackup. In order to do that right-click on the folder, select Get info and enter a name of your choice in the Name & Extensions box. Similarly, create a separate folder called iOSVoicemails for all your saved voicemails from your iPhone. We used to have much more complicated way of extracting your voicemails from backups. However, we are most grateful to WonderHowTo user Lauren Pattison who has created a much simpler procedure. She has even shared the script with us. It will now allow you to enter text. Type the following text into Terminal including indentations and all. Instead of typing everything you can even copy it here from the file on Pastebin and simply paste onto Terminal. Press enter and that will run the script for you. You will be able to view a list of all your voicemails in the Terminal. 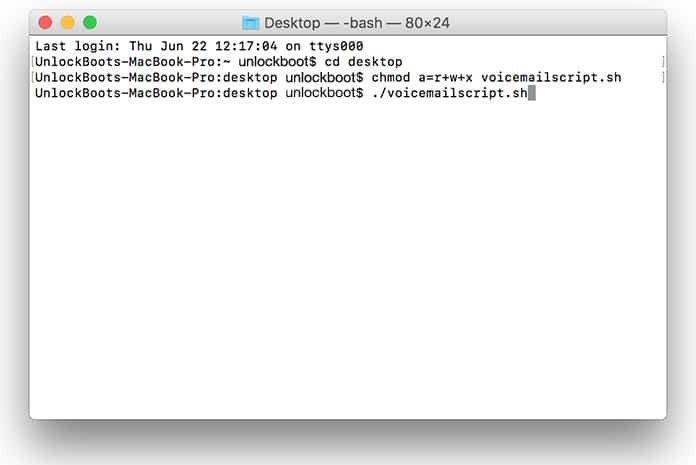 Open the iOSVoicemails folder on your desktop. Select the voicemails you want to listen or converted. Open them in Quicktime Player, go to File, scroll down to Export and select Audio Only. Press Save and you will save voicemails from your iPhone in an .mp4a format that you will be able to share or upload as you desire. Follow these tips to save voicemails to your iPhone.